Climbing a 5671 meters Damavand volcano is a life time memory. Ascend to the summit is technically easy but physically a tough challenge. Before starting your ascend you should read the essential climbing information. Trekking this giant volcano in summer is similar to Mt Kilimanjaro in terms of difficulty, climbing in winter is quite different and very difficult. Generally speaking all you have to do is to trek about 8 kms distance in 10 hours time with a 26 deg mild slope and gain 2630 meters height from base to the peakt. See also Facts And Figuers. - A good physical fitness is necessary. - The main difficulty is acclimatization, start your climb only after your body has acclimatised. - Recommended ascend Timing is July and August. - Preferred climbing route is the South face. - A reliable guide is helpful and would increases you chance of success. - Do not carry heavy equipments yourself from Camp 2 to Camp 3 Bargah. See How To Climb. - To have a safe climb to the peak, it is essential to bring the proper Equipment. - Best Itineraryr is 4 or 5 days. - Remember that Camp 2 Base is not good for acclimatisation in summer, because it is too crowded and too dirty, in fact it is invaded by local people, you better use Camp 1 Polour or Camp3 New Hut for acclimatization only. See Warnings. - You need a good Weather condition. Do not leave your camp and do not atempt climbig when the weather is bad. - When crowded do not sleep in Camp3 Bargah Old Shellter, use the New Hut. Summer trekking is ideal for newcomers as their first attempt to the mountain. If it is your first time to this volcano it is better to choose a proper program such as 4 to 5 days Itinerary for the classic South route, June, July and August are good months to tackle the mountain and best days to be away from the crowds are Iranian midweeks. Read more in Damavand Forum. Iranian weekend are Thursday and Friday, (Friday=weekend). - Huts are the best places for acclimatization and accommodation. - Huts are very safe haven in case of any bad weather and emergency. - Instead of using tent, shelter and refuge, you may book and use private rooms in the huts. - You can use better supports. - You have access to porter and mule easily in summer and you do not need to carry heavy equipment to Camp3 , there is no grantee for other routes. - Usually rescue team can reach much quicker or are available in case of emergency. - It is almost safe to leave behind the heavy gears in the hut private rooms on the summit day. - Remember there is no hut on other faces and you have to use shelter/refuge or tent only. - In other routes in case of crowded shelter and bad weather you have to use tent only. - Access to the starting point of other routes are difficult. - Drinking water shortage on other faces compare to south classic route. - The North Face is not popular because of its water shortage and difficult climbing geade. - You may find some water on other trails but not in all seasons, do not count on these water and do not expect clean water there, have enough water with you. Each year we meet different skier from various countries with different and new sophisticated equipments, due to importance and required safety in a ski tour and to match the electronic avalanche transceivers, we usually recommend the incoming team to bring a spare and extra set of the avalanches transmitter with the same type and brand for their ski guide to increase the chance of surviving in avalanches. Damavand Tipps und Tricks für Klettern, Trekking und Skitouren Adventures 2015. Iran Reise- und Tourismus-Tipps für Aktivitäten im Freien und Sightseeing Tours Erholung. Wintersport, geführte Ski- und Snowboard-Touren in den Iran Skigebiete in Alborz und Zagross Mountains. Iran lokalen Bergführer. Damavand Foto. Tipps Damavand Klettern Tour, Trekking und Skitouren. 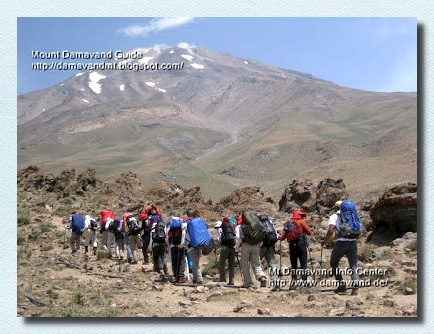 Damavand Tips and Tricks for Climbing, Trekking and Skitouring Adventures 2015. Iran Travel and Tourism Tips for Outdoor Activity and Sightseeing Recreation Tours. Winter sports,guided ski and snowboard tours to Iran ski resorts in Alborz and Zagross Mountains. Iran local mountain guide. Damavand Photo. Tips Damavand Climbing tour, Trekking and Skitouring. 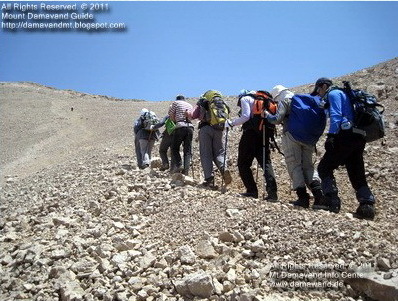 Damavand Consejos y trucos para Escalada, Trekking y Skirando aventuras 2015. Irán Viajes y Turismo Consejos para la actividad al aire libre y turismo Recreación Tours. Deportes de invierno, esquí y excursiones guiadas de snowboard a las estaciones de esquí Irán en Alborz y montañas Zagross. Irán guía de montaña local. Foto Damavand. Consejos Damavand Climbing Tour, Trekking y Skirando. Damavand Trucs et astuces pour l'escalade, la randonnée et Randonnées à Adventures 2015. Iran Conseils de Voyage et de Tourisme activité de plein air et le tourisme de loisirs Tours. Les sports d'hiver, ski guidées et de la planche à neige à l'Iran stations de ski en Alborz et Zagross Montagnes. Iran guide de montagne. Damavand Photo. Conseils Damavand Escalade tournée, Trekking et Randonnées à.
Damavand Tips and Tricks per l'arrampicata, trekking e Skitouring Adventures 2015. Iran Turismo Consigli per attività esterna e Sightseeing Tours ricreazione. Sport invernali, sci guidate e tour di snowboard a stazioni sciistiche in Iran Alborz e Zagross Montagne. Iran guida alpina locale. Damavand Foto. Consigli Damavand Climbing Tour, Trekking e Sci alpinismo. Damavand Tips og triks for klatring, trekking og Skitouring Adventures 2015. Iran Travel and Tourism Tips for utendørs aktivitet og Sightseeing Rekreasjon Tours. Vintersport, guidet ski og snowboard turer til Iran skisteder i Alborz og Zagross Mountains. Iran lokal fjellguide. Damavand Photo. Tips Damavand Klatring tur, Trekking og Skitouring. Damavand Советы и хитрости для скалолазания, походов и Skitouring Приключения 2015 Иран Путешествия и туризм Советы для активного отдыха и осмотра достопримечательностей Отдых Тур. Зимние виды спорта, руководствуясь Горные лыжи и сноуборд туры в Иран горнолыжных курортов в Эльбрус и Zagross горы. Иран местный горный гид. Damavand Фото. Советы Damavand Восхождение туристам, экскурсии и Skitouring. Damavand Sovety i khitrosti dlya skalolazaniya, pokhodov i Skitouring Priklyucheniya 2015 Iran Puteshestviya i turizm Sovety dlya aktivnogo otdykha i osmotra dostoprimechatel'nostey Otdykh Tur. Zimniye vidy sporta , rukovodstvuyas' Gornyye lyzhi i snoubord tury v Iran gornolyzhnykh kurortov v El'brus i Zagross gory. Iran mestnyy gornyy gid . Damavand Foto. Sovety Damavand Voskhozhdeniye turistam , ekskursii i Skitouring .